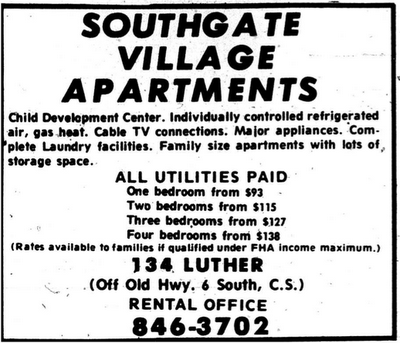 Here's an Eagle ad from December 1971, subsidized even back then. 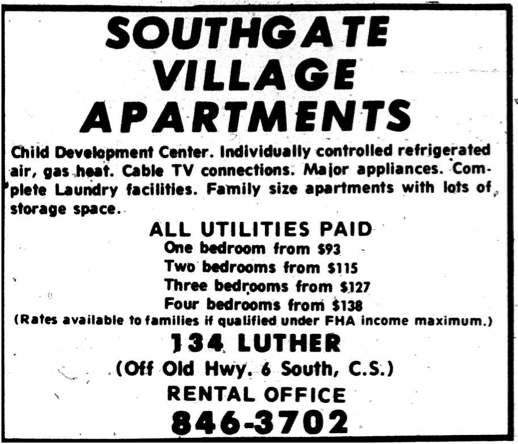 Originally part of the Luther Street and Wellborn Road article to undergo major changes as of this writing (accounting for the huge new apartment building replacing the entire block), the Southgate Village Apartments were built in 1970 and is a HUD subsidized apartment (even going into foreclosure in early 2012). 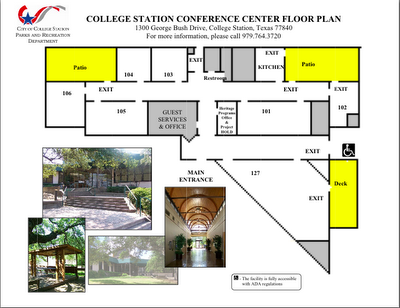 Put this in the "forgotten Texas Avenue" file (and the "recycled post" file). 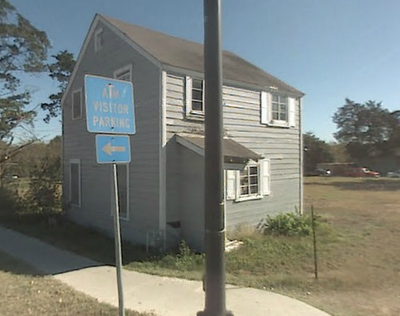 Originally reported as part of the Aggieland Inn article when, according to the development list has lots 317, 319, and 321 Redmond Drive abandon their public right of ways. 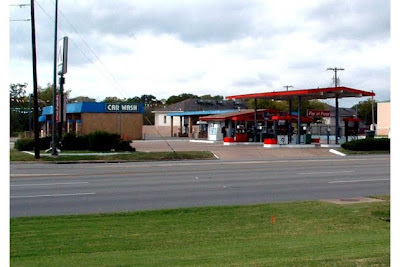 These used to be the "Travel Kleen" car wash and the Summit station, which were both demolished circa 2007. I thought they were part of a redevelopment, but it's not--today both have been cleared for a small strip mall under construction. I've stopped at the Summit at least once (it was quite run-down) but never at the Travel Kleen--I wasn't aware there was a car wash even there (probably why they closed). Unknown to when either were built. EDIT 11-6-13: A strip mall is up, featuring the area's first "Sleep Number by Select Comfort" and Aspen Dental. A third space is vacant. 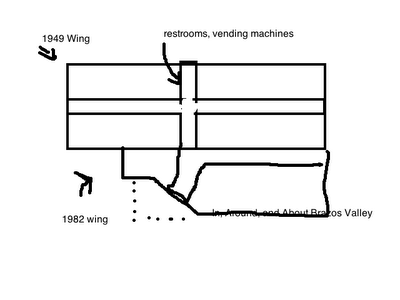 EDIT 6-18-14: In the mid-1990s, this Summit was originally a Shell with a Zip'N convenience store. While a number of the older Shells did not make the conversion in 2003-2004 and had to convert to Summit stores, namely the two rural Shell stations profiled elsewhere on this site, the Shell here converted earlier. I'm not sure when this conversion took place. The Shell was at 321 Redmond (the same as Summit), and it was a Zip'N in 1989 (store #102) though it had been removed by 1993. The Shell signage remained up until at least by 1995. 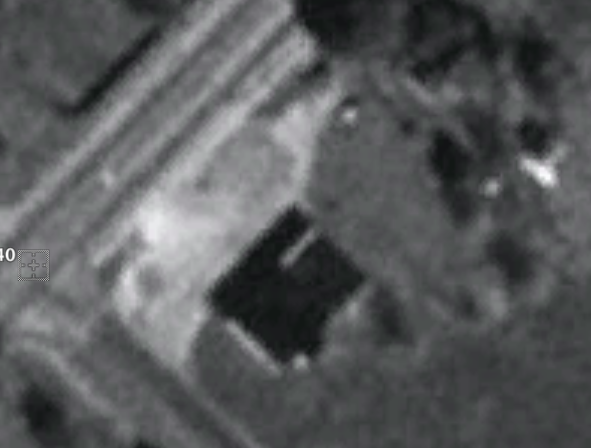 I don't have a lot of information for this building. It was once a crummy old house at the corner of Fairview and George Bush. However, in circa 2010, the building was renovated, a concrete parking lot built, and numerous other accoutrements were added. Anyone know some more backstory to this? I snapped this picture from the bus, taken sometime around 2013. The Reveille's sign can't be seen. The defunct Southgate Chevron has been operating since the 1960s as the Southside Gulf Service, and converted to a convenience store (Reveille's) sometime around the late 1980s (that's what Brazos CAD suggests) with the Chevron name being bestowed in the early 1990s due to a merger. 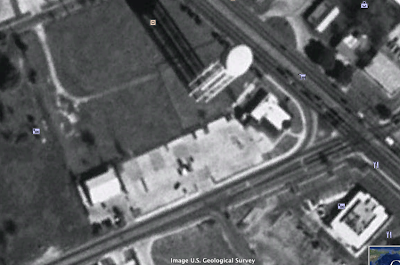 In 2011, I got the below picture that shows the Gulf station and the surrounding area (due to the city reorganizing the Project HOLD server from which I got it from, I can't find the original link and who that is) circa 1985. Click for larger size/higher resolution. It's great seeing the George Bush (er, Jersey) stoplight as it was...the "old style" of College Station stoplights (before they were all replaced or upgraded), complete with the old railroad crossing (a cantilever railroad crossing...but where's the crossing gate? ), and all those trees, too: this must have been before Olsen Field, and a time when you could probably still see the I-GN right of way on both sides. I found this picture as well, which appears to be the station in question, from an even earlier time. 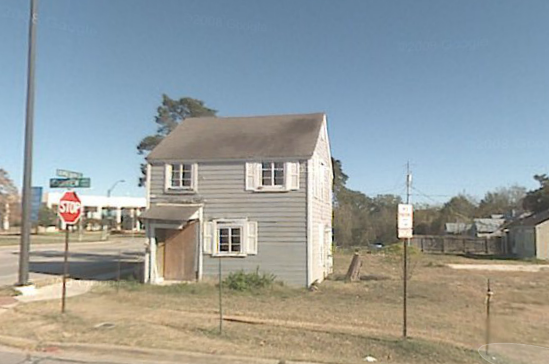 Later on, it updated once to the newer 2005 design (didn't roll out fully until the late 2000s), and has always been Reveille's (convenience store) at least since the mid-1990s (if not further back). In early 2017, it was de-branded as "K.D. Timmons Co. Inc." (a local fuel supplier, though it kept the Chevron colors), and by July 2018 permanently closed, presumably as part of the George Bush underpass project. Just to give you an idea of the store at 1900 Texas Avenue South. A bit of a history lesson: prior to the year 1990, H-E-B stores did not exist at all (maybe a few tiny stores in the suburbs, called H-E-B Pantry) in the Houston market, which by extension included the College Station market. 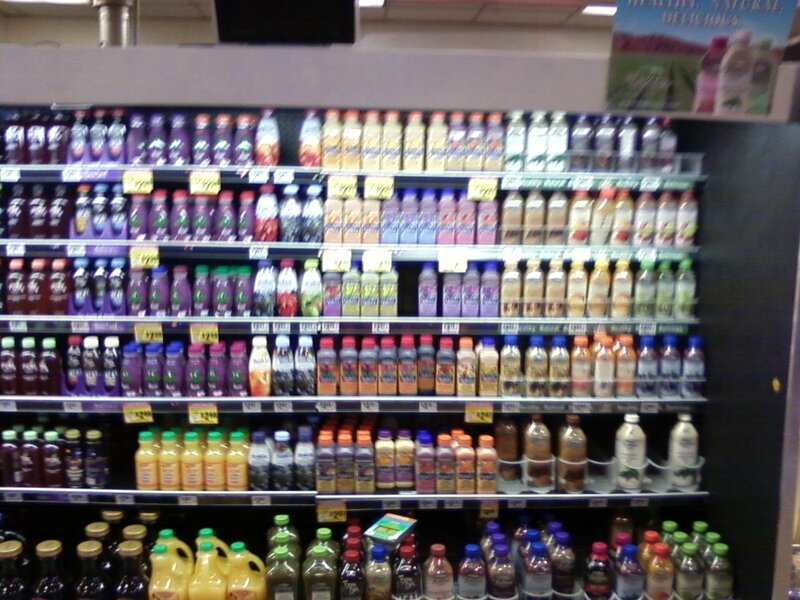 Instead, there was AppleTree (Safeway until the company had to divest the division), Randall's (at the time, a respected upscale-leaning independent), and Kroger. Those were the big ones. Around 1992, H-E-B decided to launch a plan that would put it in the competitive Houston market by operating small, low-end stores lacking expensive-to-operate-but-otherwise-standard departments like bakeries, delis, and pharmacies. 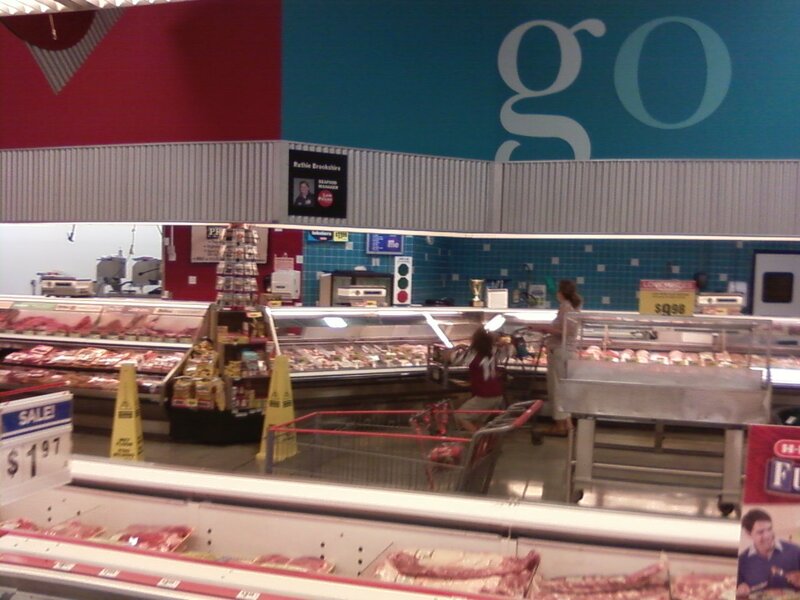 H-E-B essentially carpet-bombed the Houston market with stores like this, beating Food Lion (a similar operation) to the punch by several months (and Food Lion caught a lot of flack in Dallas for lacking pharmacies). The march to conquer Houston included a few stores in Bryan-College Station, two in Bryan, and one in College Station where DSW is now. 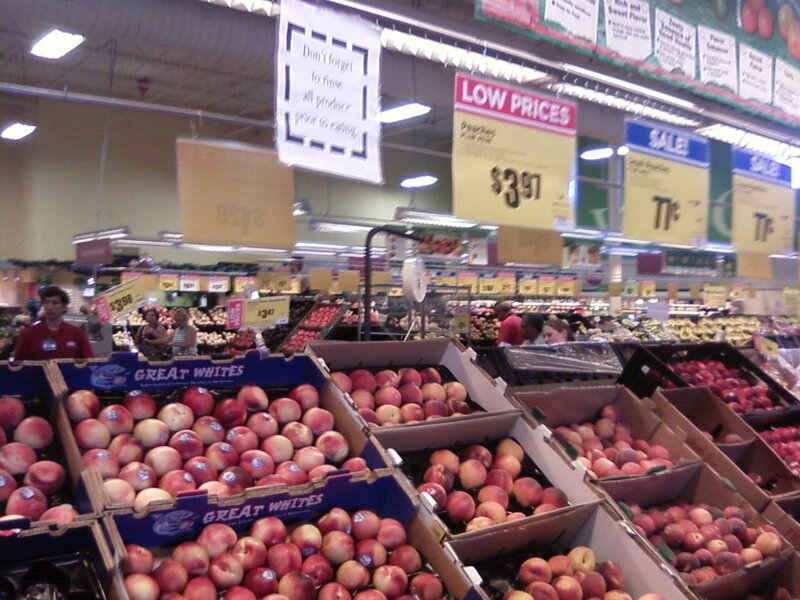 By 2000, H-E-B was ready to build full-line stores, and in less than a decade was second place just after Kroger, which had been established for decades. Absolutely brilliant. 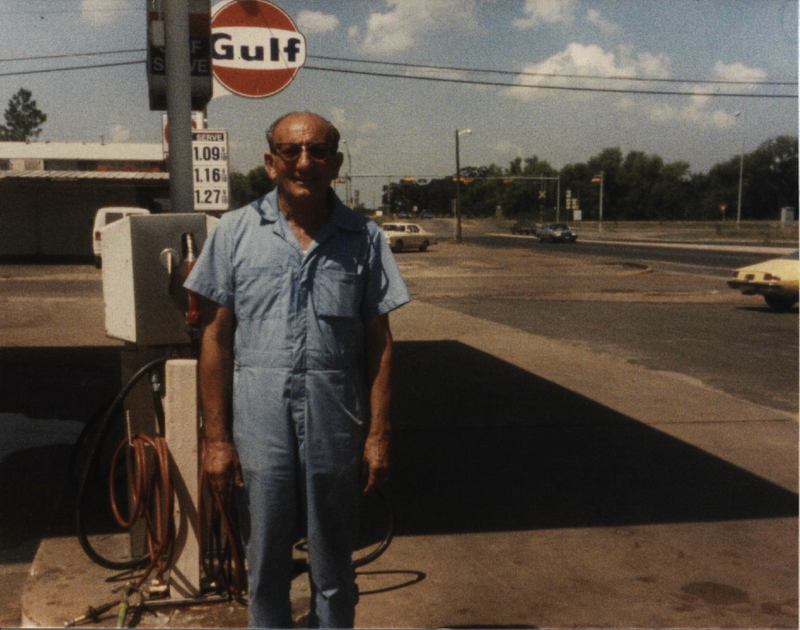 I had been in a "full-line" H-E-B before, a location in Waco, Texas at the corner of Dutton and Valley Mills, and in 2002, H-E-B closed its Pantry store and built their first full-line College Station-Bryan store on the corner of Texas Avenue and Holleman, but facing more toward the former, in March or April 2002 (I believe it was April). This blew everything in town out of the water at the time. Not only was it far bigger than the one in Waco (which closed down a few years ago) and had all of its departments (including a tortilleria), but also had a bakery (with bolillos), a pharmacy, a florist, a fish market, and more. 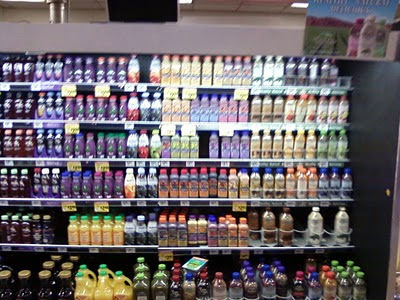 The Pantry had a pretty good quality and selection for a store of its size, but the real H-E-B offered all that, and more, as it was at least twice as big. It even made the Southwest Parkway Kroger look small and dated (which admittedly it kind of was). Up until 2015, the store's décor and layout remained largely the same, with some changes have gone on within H-E-B in the past decade. Originally, they had a video game section with a display in the middle that had TVs playing the Super Smash Bros. Melee trailer (hey, it was early 2002), and you could buy a portable PSOne there. This was gutted for more of the "general merchandise" selection they have today. Unfortunately, it was one of the earlier departments scrapped when it became clear what customer's buying habits were (Yelp likewise reports the brief time they carried Caribbean imported foods, though said reviewer is notoriously untrustworthy when it comes to restaurant reviews). 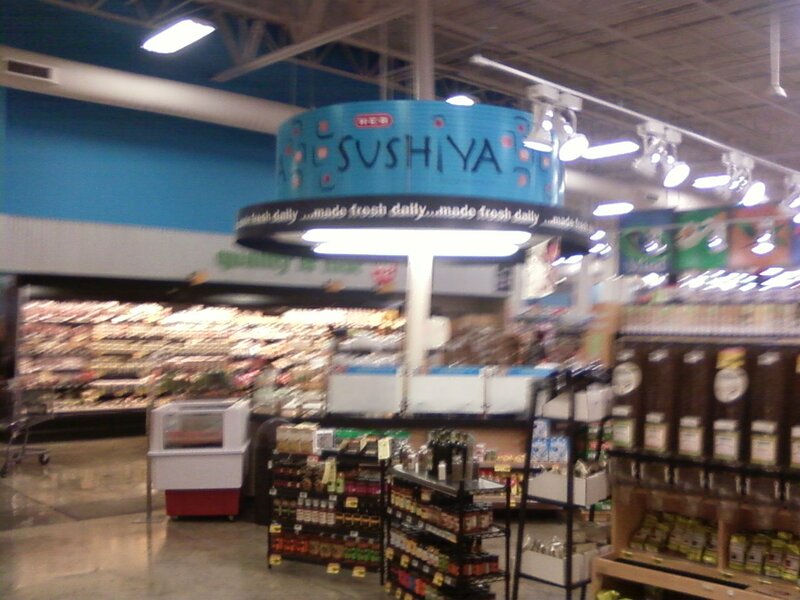 There's also a sushi-making kiosk and a gourmet food sample place that was added later. 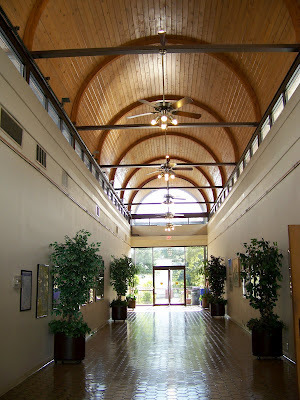 In the front, there were what appeared to be large sheds (they were later removed to accommodate more garden supplies), and there was also a Washington Mutual bank inside (which may or not have been the first bank there). Fortunately, H-E-B converted it to an IBC bank (removed circa 2012) before Washington Mutual collapsed completely. The parking is usually full and the store is popular, but due to the tight and hilly footprint the store sits on, it can't expand, which is a shame. It was curiously bumped to the bottom of remodeling lists, leaving it with all 2002 décor intact, and now already is starting to look small, dated, and downscale compared to other H-E-B stores I've seen (though again, it's hard to criticize your store when there are still dozens of stores floating around without even pharmacies). The presence of the store managed to clean up the entire block. The land value of the nearby homes on Park Place shot up (and even sparked a mild building boom). This was a part of a big Southgate revival, though in some cases, ended up demolishing decent homes that just needed a little love for dense, student-living oriented townhomes. 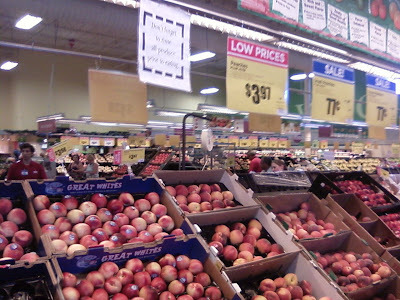 In 2015, the store began to remodel, tearing off the giant lettering on the sides of the colored walls (some glimpses can be caught of that), and is currently undergoing significant changes, namely moving the florist to the other side of the store near the pharmacy, making the produce area less of a maze, and a few other things. Obviously, it won't any physical expansions. Enjoy these few pictures I took at H-E-B in June 2010, taken with my crappy old cellphone camera. I have two directories from the store. The more colorful one is from the 2002 opening. See if you can see the differences...the later one is from 2005. Download them both here. There's more stories to tell, even. The space before the H-E-B included the El Chico restaurant on the corner (which was a number of things before that, including the original Allen Honda location (newspaper clipping, MyBCS confirms it), which later became Bud Ward Volkswagen (Allen Honda must have moved to Southwest Parkway by that point, more on that later), "Charlie's Under the Water Tower" (a bar), and then El Chico (which may or may not have been a rebuild). 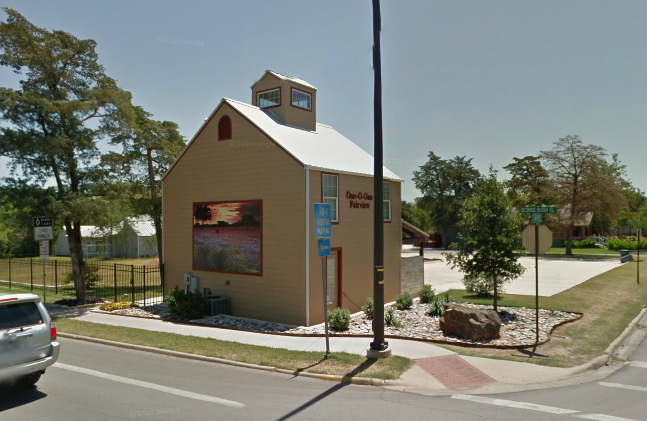 It was torn down in 2007 for a Chase bank, which may or may have not been related to the Texas Avenue widening. 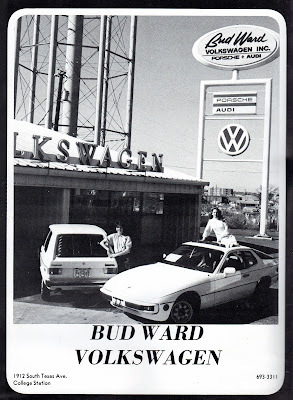 From John Ellisor comes this picture of Bud Ward Volkswagen, one of the car dealerships there at some point. I think I see the Holiday Inn in the background. The old water tower that was behind it was dismantled around 2002-2003 for an H-E-B gas station and car wash, and connected to what was the El Chico was a shabby-looking maroon building (with wooden shingles if I remember right) with Early Bird Cleaners and Aggieland Printing. This, and its adjacent parking lot (a holdover from the car dealership?) can be seen below. Both moved to a yellow building in the parking lot, though Early Bird Cleaners has since departed.